Thank you for contacting Bluepoints Marina, in Port Canaveral. We’re happy to assist you with questions, comment or concerns. A member of our team has received your request and will contact you shortly. 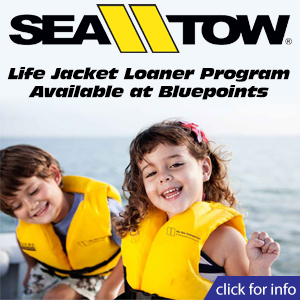 Again, thank you for contacting Bluepoints Marina in Port Canaveral. Bluepoints Marina in Port Canaveral is Florida’s newest state-of-the-art marina facility. Famous for its deep calm water and well marked approaches, Port Canaveral is the only “user friendly inlet” along Central Florida’s East Coast for a distance of approximately 120 miles. Additionally, the Banana/Indian River complex and the Intracoastal Waterway are easily accessible. Bluepoints Marina in Port Canaveral is designed to provide a safe, secure home for your boat, whether it’s a day cruiser, an inshore flats boat or an offshore fishing machine. Our fully enclosed dry storage facility has been constructed to withstand winds up to 150 mph, as well as a state-of-the-art fire suppression system and enhanced security features (your insurance provider should love this wind load rating). Over 1,000 feet of courtesy docks allows the Bluepoints Marina Team to offer the best call-ahead service around; you simply give us a call when you’re on the way and we’ll have your boat in the water awaiting your arrival. 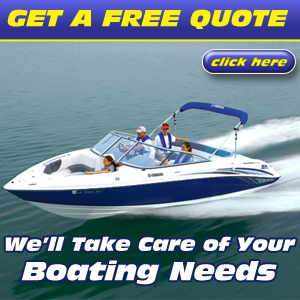 With two lift trucks on duty at all times and four launch wells, we can ensure that you’ll NEVER WAIT for your boat. Bluepoints Marina in Port Canaveral has a fully stocked ships store, fuel and pump-out docks, a concierge service that will provision your boat for you and acres of paved well-lighted parking. The Bluepoints Marina onsite service center is operated by our preferred service provider; Marine One Services, Inc., a factory authorized Mercury Dealer. We also have 26 wet slips, each equipped with a boat lift capable of lifting 50,000 lbs. for boats up to 47’ LOA and beams to 14’. Each slip has metered electric and potable water. We offer limited facilities for transient vessels.